Jasper was stolen from his home all the way back in September and this week, he was finally back in the arms of his best friend. After Jasper went missing in Bedfordshire, U.K., six months ago, his owner Michael Ford started to think he would never see his dog again. 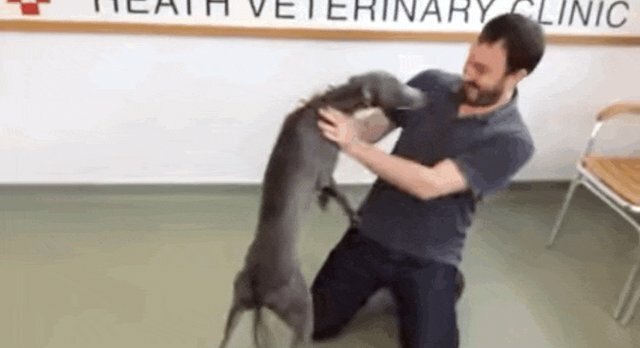 And there was no sign of the playful whippet until March 12, when Jasper was found wandering alone outside and brought to the Heath Veterinary Clinic, ABC reports. A microchip scan showed his owner was close-by, and the clinic called to give him the amazing news that Jasper was safe. 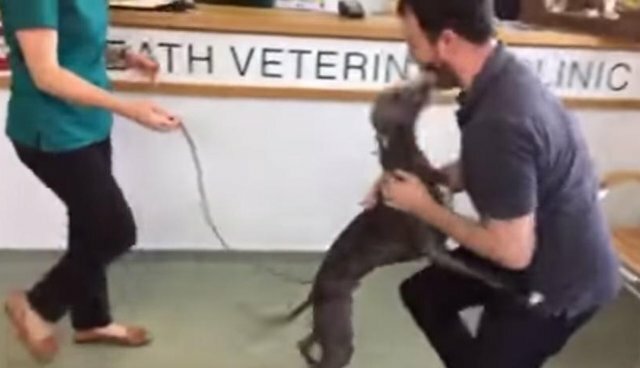 Here's the moment Jasper and his human were reunited ... neither of them can keep from crying. Jasper had a long journey back to his loving dad. After he was stolen in September, he was purchased by a local woman who said she saw him chained up outdoors. 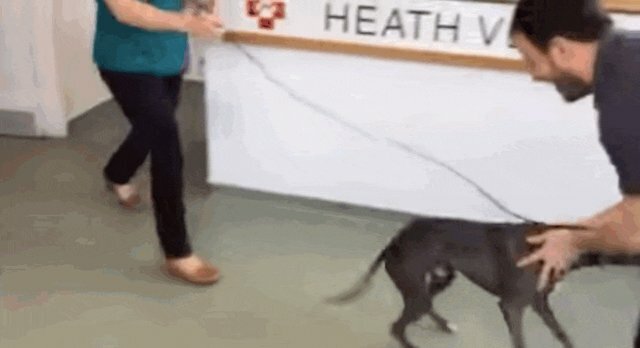 "He looked so neglected I had to do something and immediately took him home, it never occurred to me he may have been stolen," she told the clinic. The woman said she handed over money to a man she believed was the dog's owner and started caring for Jasper as her pet. When he went missing from her home earlier this month, she came looking for him at the Heath Veterinary Clinic, where she learned he had been stolen from his family. The clinic says she was sad to say goodbye but happy to hear he had been reunited with his family. It's clear that Jasper and his dad are just about the happiest pair on the planet right now. If Jasper hadn't been microchipped, he and his Ford might never have been reunited. Thanks to a few lucky turns of fate, these two buddies are back together. It doesn't seem like Jasper's dad is going to let him out of his sight anytime soon.